One of Gee's Bend's most active participants in community affairs was Marie Pettway, whose husband, Perkins, was the Bend's gravestone maker. Their daughter Doris talks about her mother. She was born in Gee's Bend. Her father was Nelson Pettway. Her mother, Catherine, died when she was four, and her stepmother, Virginia, raised her in the Pettway Quarter. She started making quilts when she was thirteen. Her grandmother, Lucy Mooney, taught her. She loved to make quilts, loved to garden, and loved to cook. Sweet potato pie. She loved to sing, not in church, just around the house when she worked. Loved to be around people. Visited schools to see how things were going for the children. She worked at the quilting bee; she was their first bookkeeper. She was also president of the Home Mission at the church. 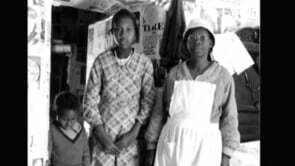 She was one of the ladies that quilted together down in Pettway Quarter—Aolar, Louella, Martha Jane, Plummer T., the whole group—in a vacant old house and in the old co-op store. Later on she was the manager of the Emmett Eaton Senior Citizens' Center. 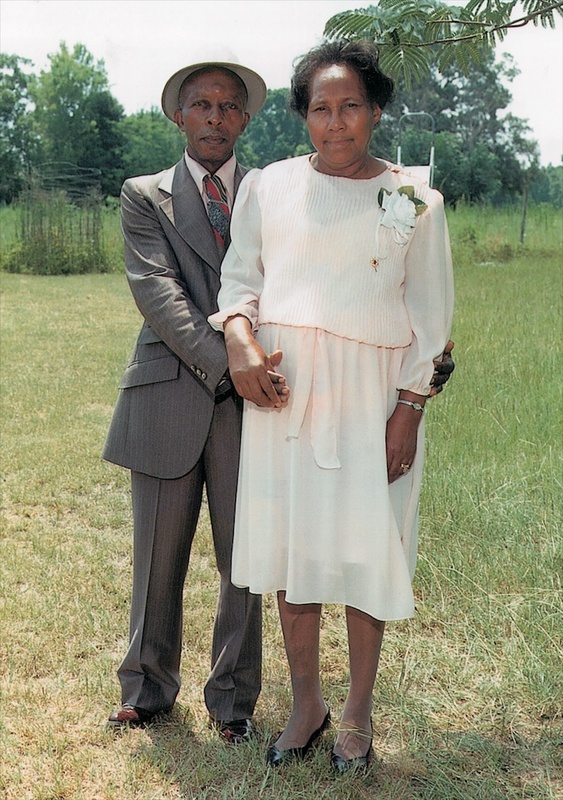 She and my daddy, Perkins Pettway, were sharecroppers at first, and then were landowners. They had cows and pigs. They had thirteen children, and after the children left, she got to visit some of them in California and Connecticut. She loved to travel. She was given the outstanding parent award after she died by Alabama State University in Montgomery for having the most children from any one family to graduate from the university.